My eighth Whip by Mike, another example of his great work. 6ft/16plt, still 8plt at the point. 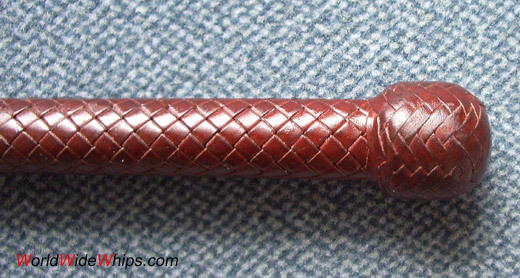 Light, fast-acting whip with the typical long (12in.) Australian handle. Note the fine plaiting on the detail photos.